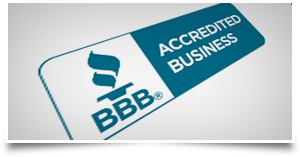 We would like to add you to our long list of satisfied customers. 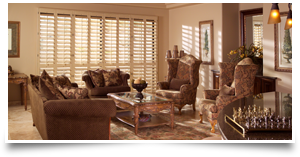 Please call us today for a free in-home estimate. 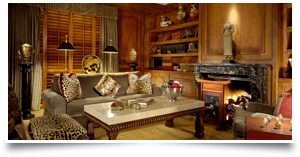 We also invite you to come in and take a look at our Showroom. 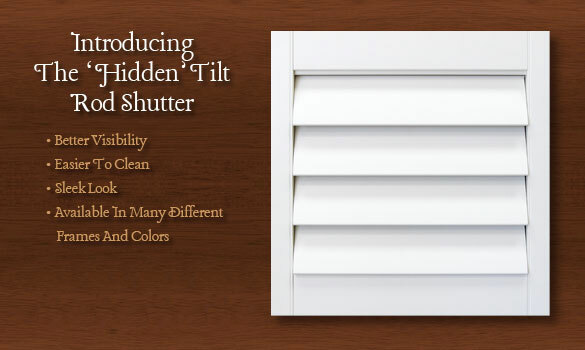 Our solid hardwood shutters come in 2 painted finishes; smooth and textured. 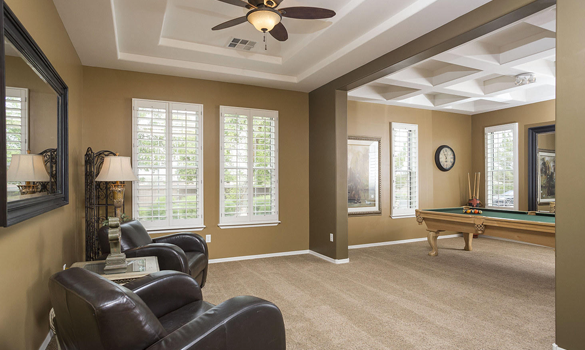 We offer standard and custom color matches. 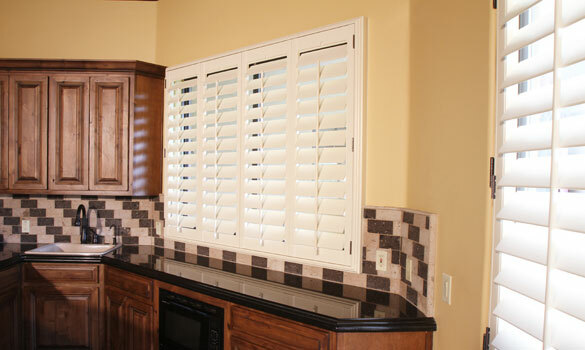 We have shutters that fit every budget! 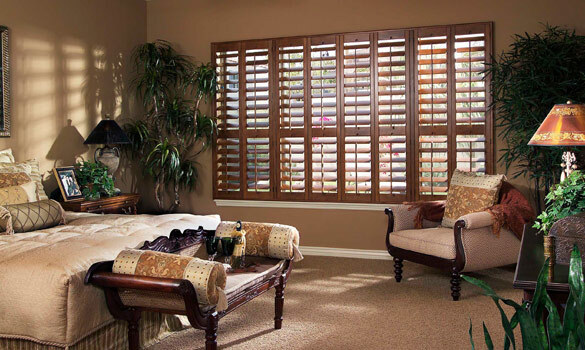 These premium solid hardwood shutters can be stained to match any decor. Hand wiped and finished in our factory using low VOC materials. The fan-top arch is a classic design, our moveable louvered arches are hand made at our factory by one of our experienced craftsman. These are a true work of art! 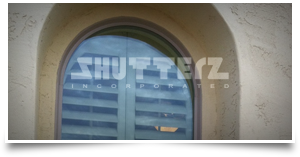 Here is another option for covering arched radius openings. We call this a full louvered arch. 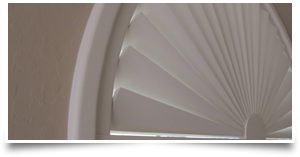 This is a popular look for those who don’t want the look of a “fan-top” arch. 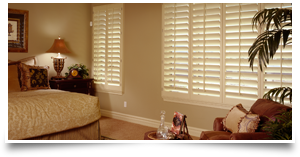 Shutters are an excellent window treatment for french doors. 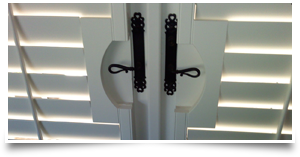 It can be custom built to work with or around your door hardware. 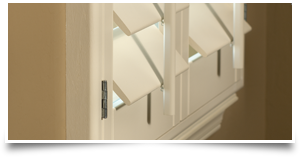 There are multiple ways of covering sliding glass doors. 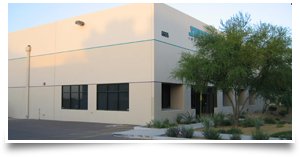 We custom make sliding panels and hinged panels to accommodate your preferences and needs. 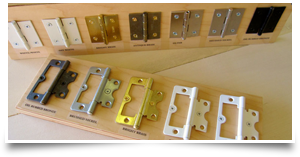 We offer shutter hardware in all the popular decorative finishes. 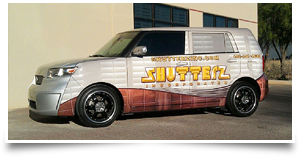 About Us “We Custom Make Shutters In Every Shape And Size” Our Company Mission Our mission has always been to manufacture a high quality, custom wood shutter at a competitive price. 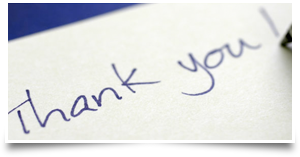 Check out what our most recent customers are saying!